Have a question? Or just want to say 'hi'? Fill out your details below and we'll be in touch in 2-4 business days! 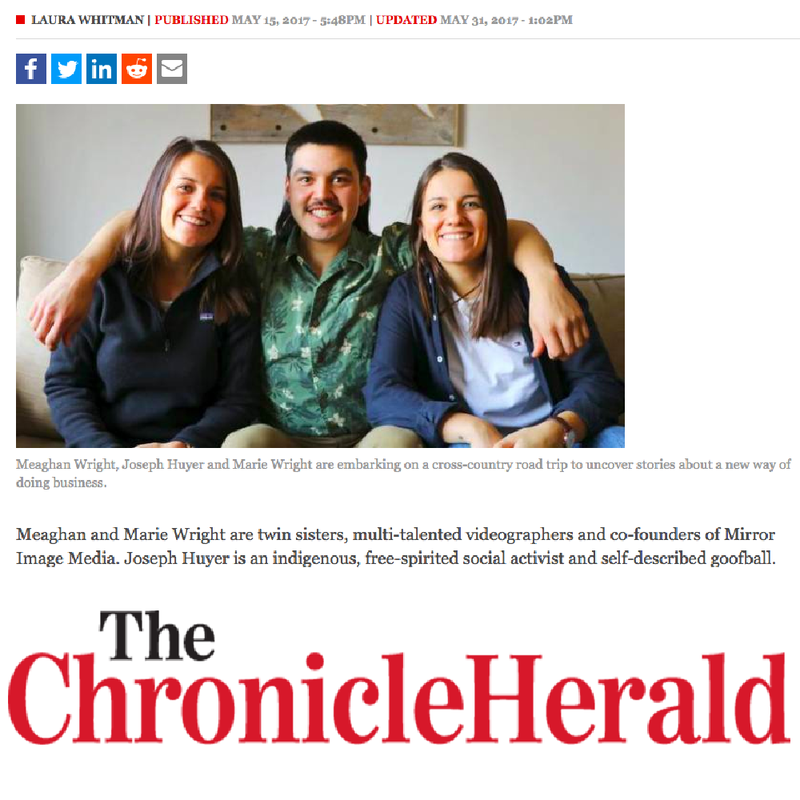 Twin sisters, Meaghan & Marie Wright are Co-Founders of Mirror Image Media, a full service video production company based in Halifax. 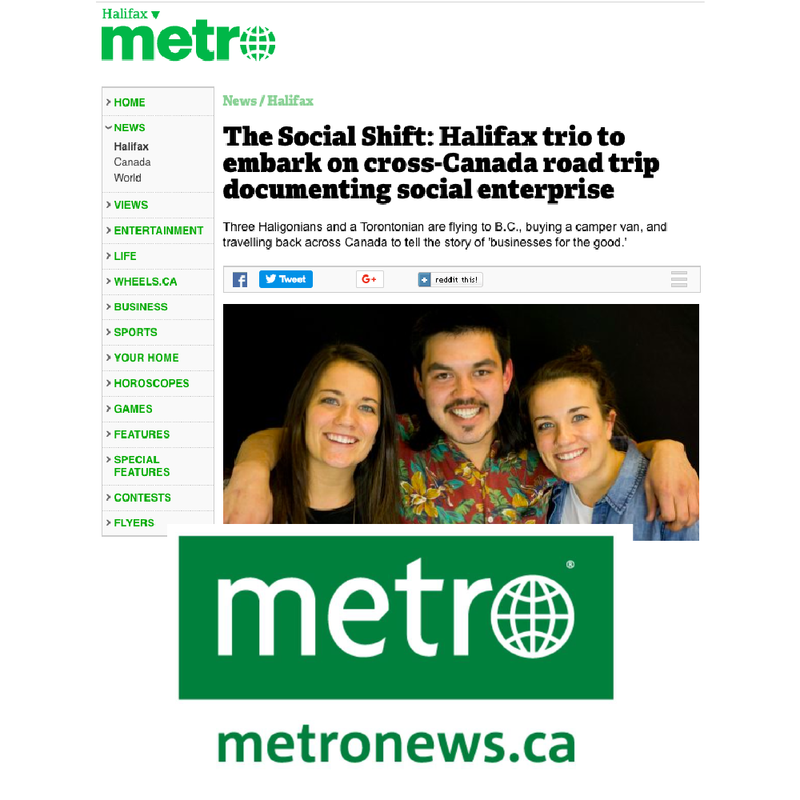 They’ve worked with clients such as Bell Media, Ovarian Cancer Canada, LuluLemon, and Halifax Pride. They have had the opportunity to interview individuals like Brian Mulroney, Craig Kielburger, Rick Mercer through their time working under the StFX Marketing Department. Twin sisters are multitalented, as they both produce, direct, shoot, and edit. As recent business graduates and employees of Common Good Solutions, they are in search of a bigger story; one that incorporates business and social, environmental and cultural value. Joseph is an Indigenous, free-spirited, critical thinker and social activist. He lives his life with intention, wonder and excitement for the next adventure and social opportunity.Along the way, he has been part of many organizations, groups and teams including the Canadian military, and various sports teams. He participated in Students On Ice, a scientific arctic exploration expedition and is comfortable in a documentary production setting having participated on Aquateam, a kids documentary exploring the impact of humans on the ecosystem and environment in the Caribbean. Joseph is eager to explore the world of social enterprise and to bring their stories to life. Kevin’s passion for filmmaking led him to work with the StFX video team and the Athletic department during University, which led him to start KC Productions. Kevin believes that while an effective director needs to be able to tell as story and convey their ideas, it is of paramount importance to be a good listener and effective communicator. The success of any creative project relies not only on the skills of one person, but also on the talents of an entire group and their ability to collaborate. Kevin’s ability to do so is evident in his work, producing powerful short form high quality films for artists and brands alike.